Five years ago Kevin Cox, a Council Member of World Land Trust (WLT), visited Bolivia’s Beni savanna. Fascinated by the landscape and the diverse range of species it supports, Kevin returned there with WLT’s Ruth Canning in 2012. Here he explains why WLT’s Buy an Acre project in Bolivia is so vitally important for nature conservation. I first visited the Beni savanna with Bennett Hennessey, Executive Director of Bolivian NGO Asociación Armonía (Armonía), and WLT’s project partner. Or rather I didn’t visit it; when I was there in March 2008, much of the area was under water after weeks of torrential rain. All the roads in the Beni were impassable and, at the time, the ranch he wanted to show me didn’t have an all-weather runway. Our small Cessna might have been able to land but there would have been no chance of it taking off again. So I only saw the land from the air and we flew too high to see its rarest and most charismatic resident, the Barba Azul, or Blue-throated Macaw. But even from a thousand feet up, the grasslands, dotted with forest islands, rivers and lakes, looked fascinating and inviting. It was a world away from the Bolivia I’d explored before, the high Andes, the cloud forest and the Amazon jungle, but it looked every bit as interesting, even though it’s little known and rarely visited. I knew I had to return. Beni province is in the north of Bolivia, on the border with Brazil. It is a sparsely populated region, with fewer than half a million people living in an area twice the size of Portugal. But it is immensely important for its biodiversity. The Blue-throated Macaw lives nowhere else and there are fewer than 250 individuals left because of habitat loss and poaching for the pet trade. 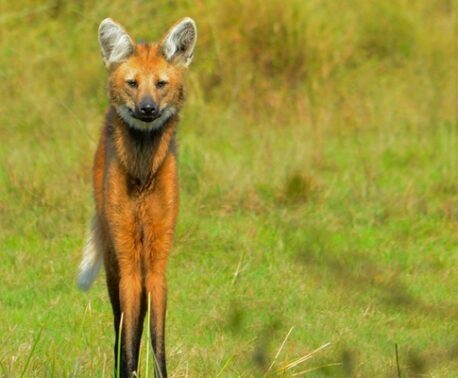 And as well as a host of birds, many extremely rare, there are Jaguars, Pumas, Ocelots, Black Howler Monkeys, Giant Anteaters and Maned Wolf to be found here. Most of the savanna is now parcelled into cattle ranches and their management causes a number of problems for conservation. The grass is regularly burned in order to encourage fresh new growth; predators, especially the larger cats, are perceived to be a threat to the cattle and so are shot; and increasing areas of indigenous grassland are being ploughed and replanted with African grass that is resistant to disease – the cows eat it but not much else survives in it. Perhaps the biggest threat is over the border in Brazil. There, the dry grasslands or Cerrado are being ploughed up to plant soya. Much of the Chaco area of Paraguay is going the same way. The savannas of Bolivia are next on the list. There is much archaeological evidence to suggest that the savannas here were intensively farmed in pre-hispanic times. But today’s industrial farming practices are so much more destructive than those of 600 years ago and the impact on the wildlife of the area would be irreversible. Currently, land prices in the Beni province are cheaper than almost anywhere else in the world. But they won’t remain that way for long. That’s why I fully support WLT’s Buy an Acre programme. I made a donation that went towards the purchase of the ranch I only saw from the air and it has now become the Barba Azul Nature Reserve, the first protected area in Beni. 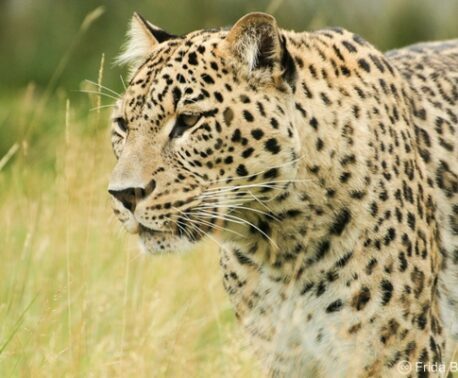 Even though the reserve covers 11,000 acres (4,450 hectares), it is still too small to save many of the species that depend on the savanna habitat and now we have the chance to purchase a neighbouring ranch and add a further 15,000 acres (6,070 hectares) to the reserve. So, today we have a real opportunity to buy important conservation land in Bolivia at prices that will never come again. Now is the time to buy as much land as we can so that WLT can assist its project partners in carrying out landscape-scale conservation. Armonía is an excellent partner with a great track record in conservation across Bolivia. With limited resources in the poorest country in South America, Bennett and his colleagues have pioneered a range of successful conservation measures. As well as land purchase, they are involved with education and community programmes, ecotourism in support of conservation, nest box projects and much other good work, all backed by solid scientific research. Last year in Bolivia, I visited another of Armonía’s projects, set up to save the Red-fronted Macaw, an extremely rare and breathtakingly beautiful endemic parrot. At a spectacular site in the foothills of the Andes, Armonía was given a generous donation to buy a cliff face where the birds breed. The land area is small, just a couple of hundred acres, but its conservation importance is huge. In conjunction with the three nearby villages, Armonía runs a tourist lodge that not only employs local people but also shares the majority of its profits with the wider community. Now the macaws are protected, when before they were persecuted as a pest because they feed on the villagers’ corn crops. At sunset, on the terrace of the lodge, I had the magical experience of watching one of the world’s most spectacular macaws as well as my best ever views of the world’s largest bird, the Condor, as it swept past the reddening cliff face. Infrastructure at the Barba Azul reserve is rather more primitive. If you go, you are guaranteed to see flocks of the Blue-throated Macaw, a bigger bird than the Red-fronted but no less charismatic, and much of the other rare wildlife. There is now an all-weather runway so you won’t be stranded. But the facilities are still basic. A comfortable lodge like that on the Red-fronted Macaw reserve must wait. Now is the time to raise money for land purchase while it’s still affordable. Without land, and the money for its conservation management, there will be no wildlife to see. My advice if you want to see the world’s rarest macaw and you’re happy to rough it for a few days, go now to the Barba Azul reserve. 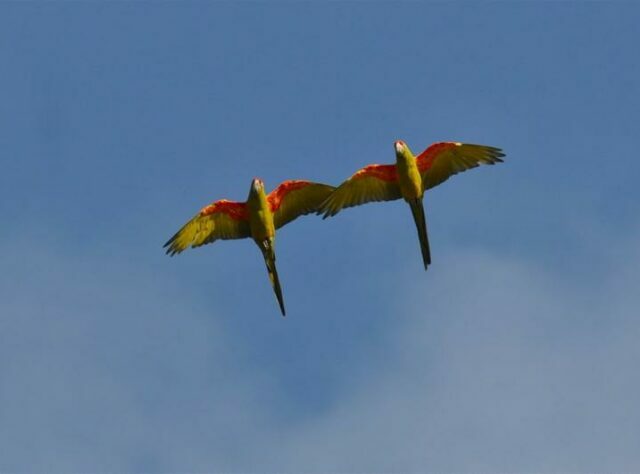 If you’d prefer to wait for a hot shower and a cold beer, then give as much as you can to WLT’s Buy an Acre appeal to ensure that the macaws still have a home when you’re ready to go. Either way, we must seize this opportunity to save one of the world’s most threatened habitats before it’s too late.